I just love homemade salsa, you guys! I want it on everything, all day, every day – three-sixty-five, twenty-four-seven. 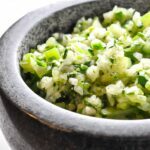 Ahem, I may be a little fanatical, but this tomatillo pico de gallo recipe is hands down one of my all-time favorite salsas. It’s light, refreshing, packed with flavor, and it’s GREEN! 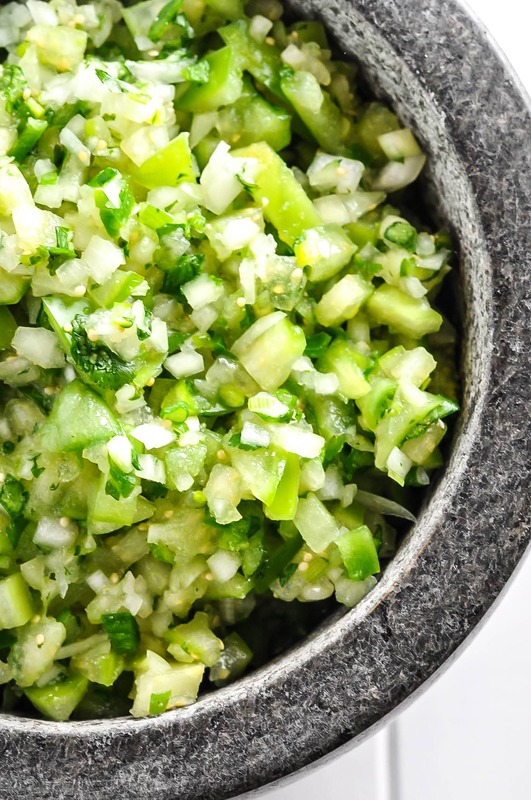 Who doesn’t love green salsa, amirite? Think about it: it’s always the green salsa that disappears the fastest when you’re dining at your favorite Mexican restaurant. In the past, I’ve tried to do my best to be polite and share, but doing so is always a struggle. In a perfect world, you could physically barricade your enemies dining partners with an intricately constructed tortilla chip fort so you can enjoy your green salsa alone in peace. 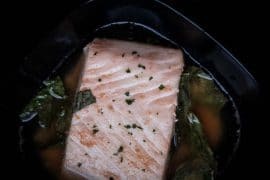 This recipe will have to hold you over until that day comes. 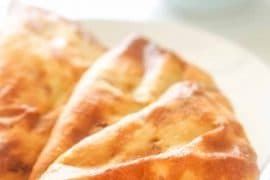 The texture and consistency are what I adore most about this recipe. 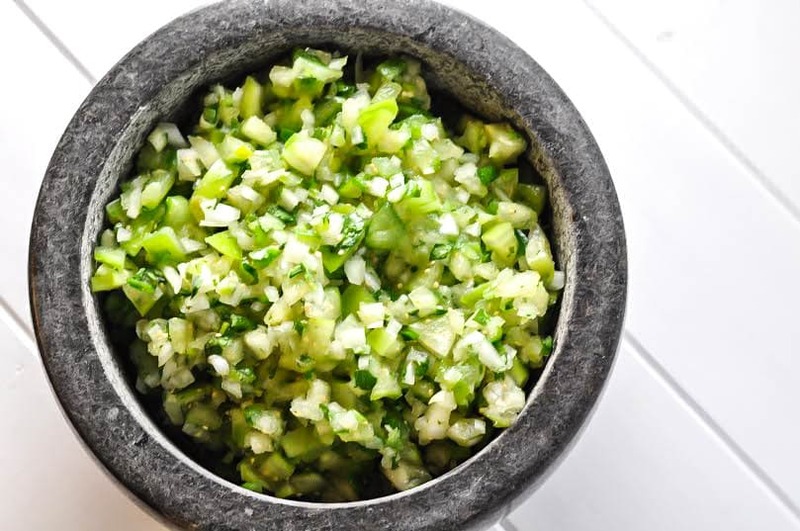 Although the flavor is quite similar to the traditional green salsa, or salsa verde, the freshly chopped produce brightens this lively condiment and adds an entirely different textural element. 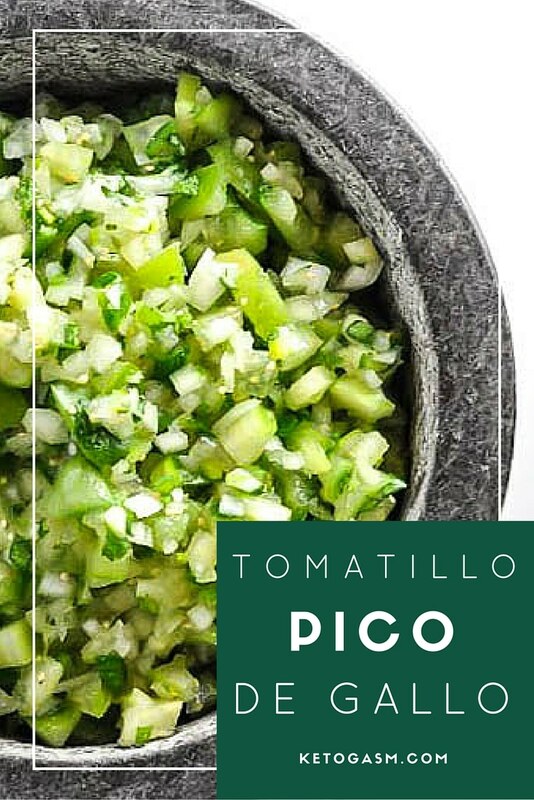 Tomatillo pico de gallo can’t be beat! It’s just so good. 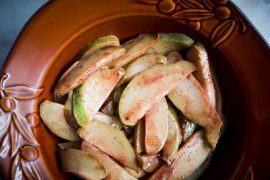 When you are hunting down the perfect tomatillos, there are a few things to keep an eye out for. You want firm to the touch, bright green husk and fruit, and a minimal gap between the sheath and fruit. You want to avoid: soft, pale yellow or light green color sheath and fruit, and ballooned out loose husks. The tomatillos that look like this have seen better days; they aren’t worthy of the epic salsa you are about to create. That thin, papery sheath covering your tomatillos comes off easily. 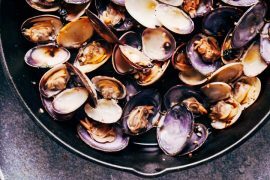 Remove the outer husk, then wash them off. It’s all sorts of sticky underneath there! To prepare the tomatillo pico de gallo, select the freshest, firmest veggies you can find, wash them off, and get to chopping! Tomatillo, onion, jalapeno pepper, scallion, cilantro, garlic powder, and salt to taste. That’s it! This salsa is just as easy as whipping up a salad. If you have any leftover tomatillos, be sure to try this tomatillo chili recipe! I can't think of anything I don't want to put this green pico de gallo on! 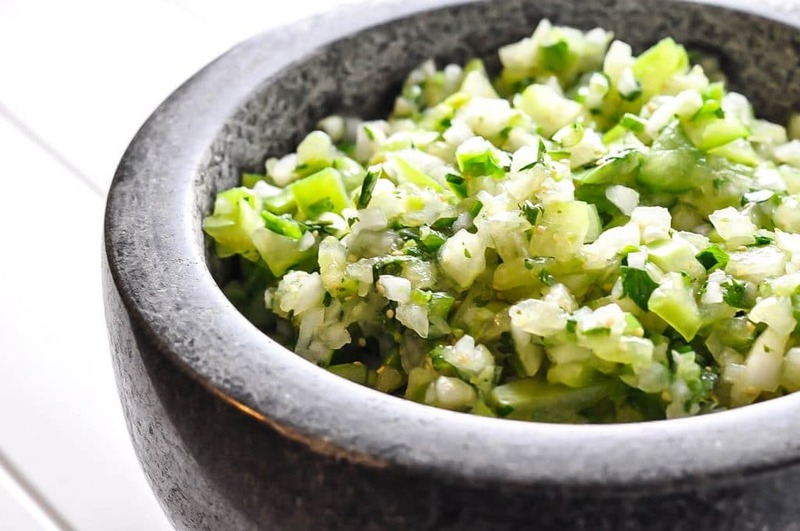 In a medium sized bowl, gently mix together tomatillos, onion, jalapeno pepper, scallion, cilantro and garlic powder until thoroughly combined. 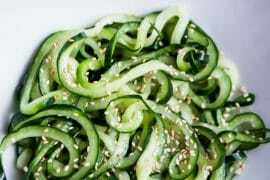 Taste the vegetable mixture and add salt to your liking. 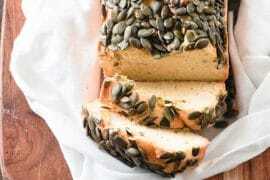 Serve immediately or refrigerate for up to 1-2 days. 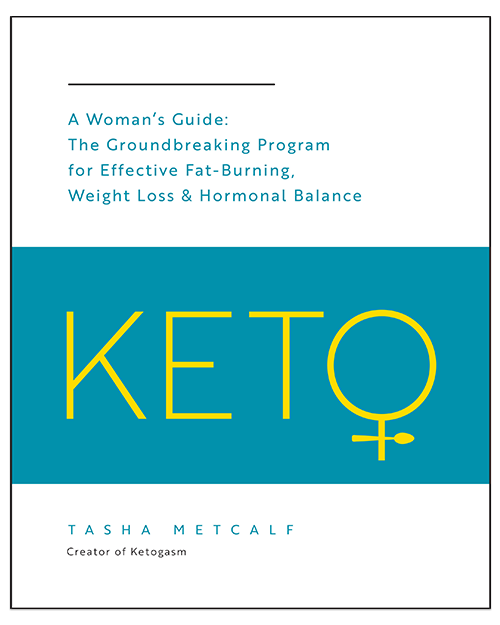 Previous articleKeto Diet Progress Update – 8 Months In!